Workers drill core samples in the grout galleries of Priest Rapids Dam in southeast Washington to figure out how extensive leaking is in the structure’s spillway. 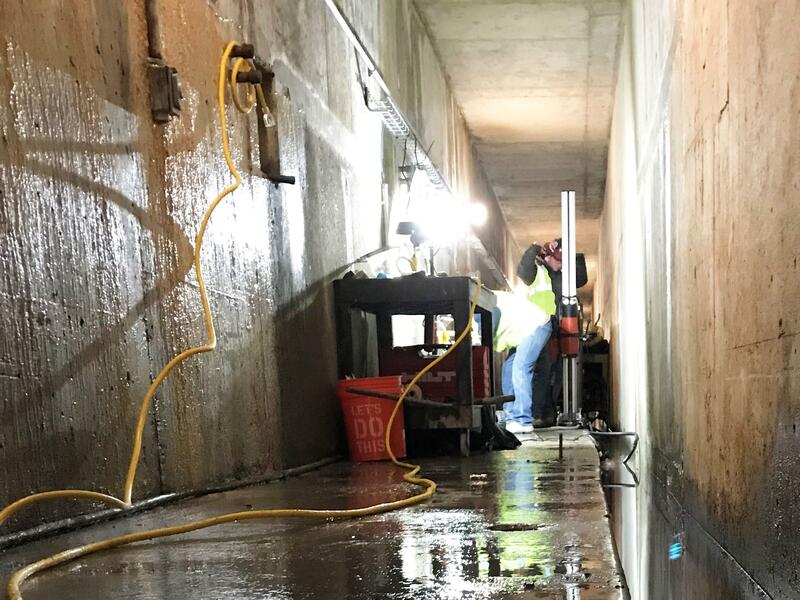 So far, crews have drilled about 80 core samples in the dam's spillway structure, and they plan to drill more than 200 altogether over the next couple months. Two of the holes are leaking three to four gallons of water per minute, according to Grant Public Utility District officials. That leak has been traced to a lift joint, which is a seam between two pours of concrete located near the bottom of the dam. To lessen the pressure until they know more, operators have lowered the pool behind the dam about three feet below what would be normal for this time of year. That might become tricky when spring melt comes. But dam operators said the structure is still safe. The exploratory drilling costs about $30,000 a day. Behind the dam lies Priest Rapids Lake, which is about 80 feet deep and stretches 18 miles up the Columbia River. 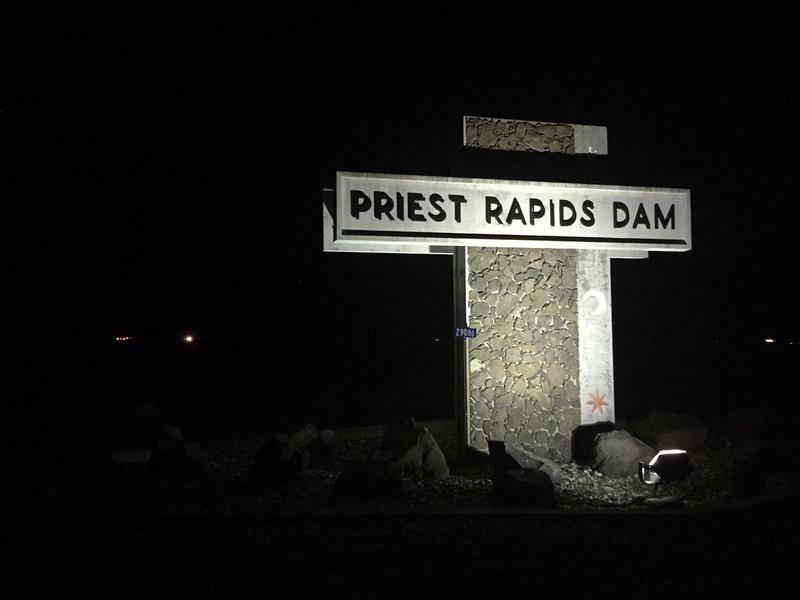 Priest Rapids is the last dam upriver from the Hanford nuclear cleanup site. Updated -- Officials with the Grant County Public Utility District say an electrical equipment failure is to blame for an explosion at Priest Rapids Dam Thursday that injured six workers, two critically. 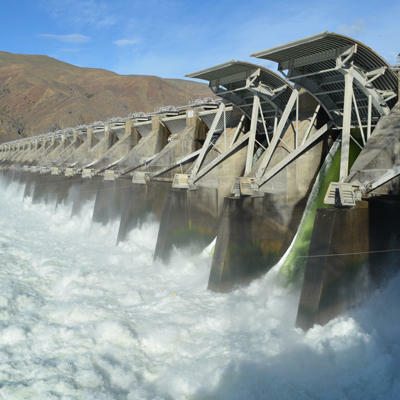 A surgeon at Harborview Medical Center in Seattle said the serious burns to five electricians and dam operators injured in Thursday’s explosion at Priest Rapids Dam in central Washington are consistent with "arc flash." 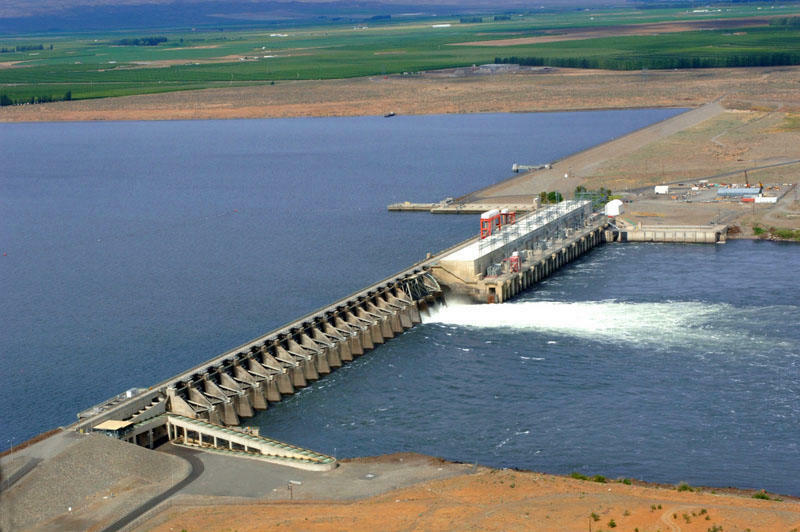 An explosion at a central Washington dam Thursday afternoon injured six workers, two critically. Harborview Medical Center in Seattle was treating five workers who were airlifted to the hospital, including two who were in critical condition. Three other patients are in satisfactory condition and being treated for burns.